By Lance Marquardt, Associate Director – Upstream Processing for Hopewell Clinical Manufacturing at Bristol-Myers Squibb and Sara Bell, Senior Marketing Manager for Mercks’s single-use product portfolio. 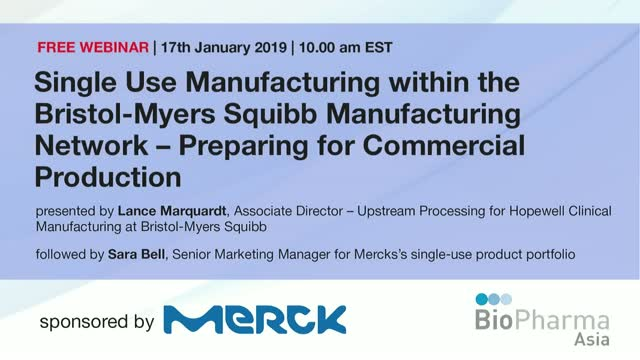 An overview of the current use of single use manufacturing within the Bristol-Myers Squibb manufacturing networks and planned future state. The challenges in implementing single use manufacturing for commercial production will be discussed. Comparisons will be made to the implementation of past improvements and the plans for future improvements, such as continuous processing.